Or rather a summary of my races so far... If you have a short attention span then this is the post for you. I tried to summarize my last 3 months. So here it is. A special award if you make it the end. So 2014 so far has been one for the record books in terms of BUSY. My apartment is now merely like an aid station. I use it to shower and sleep and sometimes eat. My closest friends Annukka and Regan (or as I like to call them Annugan) just had a baby, Kieran, and I would like to have more time to visit them. Since Caumsett 50k first weekend in March, I have raced 10 other races including the Broad Street 10 miler which I ran as a guide for Kinzey Lynch through Achilles International. I will never be able to catch up on blogging for all these races so I will list and summarize and then get on with it. I also want to thank Headsweats. Its been quite a ride so far as an ambassador for Team Headsweats. 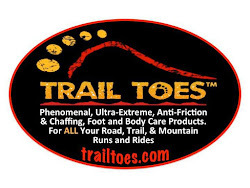 I also want to thank Vince and Trail Toes. My feet look better than they ever have thanks to no blisters in so many races. March 8th - Seneca Greenway Trail 50k – This race was fairly grueling for me. It was muddy and my legs felt horrible. I really wanted to drop to the marathon distance but I’m stubborn. I got to share the race experience with Rebecca Shaefer and Jackie Choi. I even got to run with Jackie for a bit! Two amazing ladies, Jackie and Rebecca! Grateful to share this race with them. I think I met Michael Daiguean here for the first time on the bus ride to the start. He won that day and will basically win every race I see him at going forward. Ran with a great guy named Keith. He had crazy hair and introduced himself to every single volunteer at every aid station. Thanks for gutting it out with me, Keith. Partner in crime, Holly Floyd. Great to share a race with her again, as we did our first race together 6 years ago. 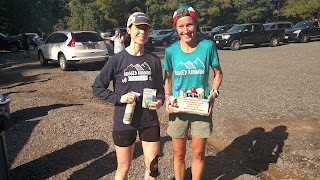 March 30th – Gorges Waterfall 100k –Cascade Locks, OR - Separate blog about this beautiful race. This photo has nothing to do with the race. It is Lura, my brother's girlfriend. April 12th – 50 Shades of Sore 50 mile fatass in which I dropped to the 50k. Legs felt trashed once again and I kept getting lost (trails weren’t marked, we were supposed to follow blazes). My dad was there also to support me and I really didn’t want him waiting another 4 hours for me to maybe navigate another loop before dark. This took me almost 8 hours as it is. I met some really great folks from MLC (Misery Loves Company) who were responsible for this surprisingly difficult race. An extremely rough day for me. April 27th – 3:35 pacer for the NJ Marathon – An experience I recommend to anyone who is given the opportunity. Thank you, Otto Lam! My experienced pacer partner and friend was the one and only Hideki Kinoshita aka Kino. Although we lost most of our runners by the end a few succeeded in their goals. I love these guys! It was a great weekend. May 4th – Broad Street 10 miler with Achilles International. Kinzey Lynch ran a strong yet not without struggle 10 miler for his second year in a row. And Kinzey is a going to Drexel next year! More to come on his training for his second marathon in Chicago this October. Kinzey is a such a stud. May 18th - Dirty German 50 miler – ALERT: MORE THAN A SUMMARY. 7:38 and 2nd place female. Huge PR. –This race is great. Stephan does a great job with every detail of this race. This was my third year running. Usually I treat DG as a training run but this year I wanted to race it and see what I could do. Photo courtesy of NATTYPHOTO.COM. Thank you for Freddy! I ran this race different than my normal strategy. I was a bit more aggressive with the first lap. I ran with a fast college kid from University of Delaware Cross Country team the first loop. It was his first time running a 50 miler. His name was Sam and he hadn’t even run a marathon yet! He ended running a respectable 7:51 I think. I decided to hold back a bit the second lap and was passed by a girl who had been right on my heels coming into the second lap. She blew past me and I was kind of thinking she would blow up at that pace and come back to me later (Spoiler: I was wrong. Elena Makovskayal passed the first place woman as well and ran 7:28 just 3 minutes over the course record set by Jessi Kennedy) Also I had hit a low as 15 to 30 miles are usually a low point for me and this was not an exception. Freddy Mahugu made this amazing sign for me and surprised me out on the course. I went into the third lap with a new lease on life. I made sure to increase my gel intake as hunger had hit me hard during the second lap but at a more intense pace I was afraid to upset my stomach with more solid food. I felt like I was hovering just below the slightly nauseous line. Anyway, I tend to be a strong finisher and I began to pick up the pace as I had not caught sight of the second place woman yet (I still thought I was chasing Elena and did not know she had passed the first place woman Karen) I caught the second place female (Karen) finally in the last 2 miles. She had a pacer with her and when I caught them the pacer stepped aside. I ran behind Karen for a while and figured I would out kick her once we got to the field at the finish. I could hear her breathing hard and I tried to control mine. I didn’t want her to think I was dying here. And then all of a sudden she stepped aside. I flew past and ran up the hill with all my strength. Finally at the top of the hill out of her sight I bent over and grabbed my knees, caught my breath, said out loud, “Come on, Maggie. Come and take it”. Ok I may not have said Come and Take It and perhaps it was a few curse words instead. Don’t pretend like you haven’t talked to yourself out loud on trail. Less than a mile later I was across the finish line as 2ndwoman 10 minutes behind Elena. Just 13 minutes off the course record. My New York peeps at the DG finish party. 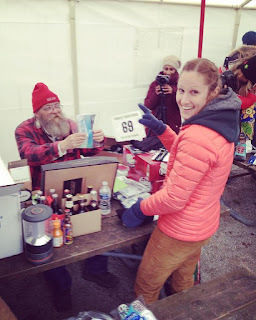 Although I didn’t win the cuckoo clock as first prize like I had hoped I couldn’t have been more happy and I never thought I could run a sub 8 hour 50 miler on trails. Plus I lost to an excellent athlete, Elena. 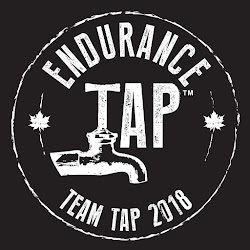 I got to share the course with many of my New York peeps who are most of the Come and Take It crew, some TrailWhipAsses, and Dashing Whippets and the local Fishtown Beer Runners! Also it was Rodney Russen’s 44thBirthday. We had gluten free cake from Taffet’s Bakery afterwards and we all hung out watching finishers come in. I really love getting to hang out at races when I am done. I missed that in the winter. No one wants to hang out all sweaty after a race in 30 degree weather! Sorry this turned out to be a mini blog but I am really happy with the way I managed to execute this race. And although I think this race is responsible for my trashing my legs for Cayuga, I would not change the way I ran this race. May 25th - Pineland Farms 25k – 2:12 – My cousin talked me into this. It was a ploy to get me to come up and put in hardwood floors in his home in East Taunton, MA. My legs felt like complete crap. I tried to hold a 7 minute pace for the first 3 miles and was still getting passed so I eased up on this rolling hills course. My first race as a TrailWhippass! Thanks, Dylan and Kat! PS I think I may have a future in hardwood flooring. Cousin Joe hovering to make sure i am still working. Coming soon... My epic post about Cayuga Trails 50 Mile Championship.... Stay tuned. Hopefully won't be 6 months from now. Go team Headsweats! 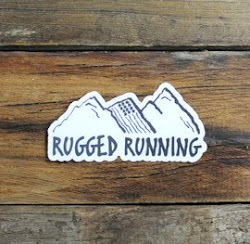 Congrats on your races so far - amazing feats of endurance!